Gerald “Jerry” G. Guisti, 76, of Mark died Jan. 19, 2017, in his residence. GREENUP — Ronald “Ronnie” G. Ray, 72, of Greenup, Illinois passed away at 10:10 pm on Thursday, January 19, 2017 at the Cumberland Rehab and Healthcare Center in Greenup. DECATUR — Duane G. Curry, 76, of Decatur, died Tuesday, January 3, 2017 in Vibra Hospital in Springfield, IL. JOHNSTON CITY — Carol Sue Phillips 78, passed away at 1:30 a.m. Thursday Jan. 19, 2017, in Herrin Hospital. Angela Dee Richie, 55, of Reddick, passed away Wednesday (Jan. 18, 2017) in Reddick, surrounded by her family. Nicholas Wayne “Nick” Smith, 20, of Dixon passed away Monday, Jan. 16, 2017, inJacksonville, Fla.He was born on Feb. 6, 1996, in DeKalb, Ga., the son of Robert Wayne and Dawn(Golden) Smith, Jr.Services will be at 2 p.m. Sunday, Jan.
Donald E. Schoo, 77, of Davenport, died Thursday, Jan. 19, 2017, at Good Samaritan Center, Davenport. 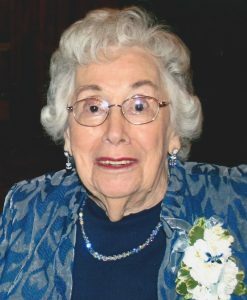 Nina M. Miller, 90, of Canton passed away Thursday, Jan. 19, 2017, at the Renaissance Care Center in Canton. BLOOMINGTON — Ramon Albert “Ray” Martello, 89, of Bloomington, formerly of Darien, died Wednesday (Jan. 18, 2017) at his home. Grace Swanson Grace Swanson of Morton Grove, beloved wife of the late Robert; dear mother of Kathleen (James) Lieber, Eric (Susan), Diane and Carl (Jennifer); loving grandmother of six; fond sister of Rita Reinwald, Paul Reinwald and Helen (Don) Dassow.